Tom Brokaw's best questions in Tuesday night's California gubernatorial debate were his first three. With each question, he effectively asked Meg Whitman and Jerry Brown if the voters themselves aren't part of the problem with California. The candidates ducked all three. First came Brokaw's lead-off query. 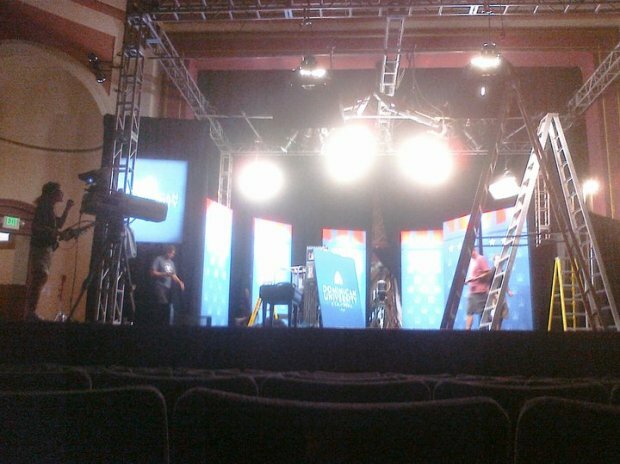 Quoting from President Kennedy's admonition that Americans should ask what they can do to help the country, Brokaw asked the candidates to address voters and tell them what they would need to give up. Neither candidate gave a direct answer. Whitman talked about welfare reform. Brown talked broadly about sacrifice without specifics. Second, Brokaw cited a poll showing that voters believe the budget can be cut without hurting people (which isn't true), and asked if voters were unrealistic. Whitman didn't address the question directly. Brown acknowledged only that everyone can be unrealistic when it involves giving things up. But he didn't go further. Brokaw's third question was about a consequential decision by voters: the adoption of Prop 13, and whether it should be changed. Both candidates said no, though Brown circled back to suggest that the centralizing effects of Prop 13 (it took the power to raise revenues away from local governments and centralized it in Sacramento) deserved a closer look. 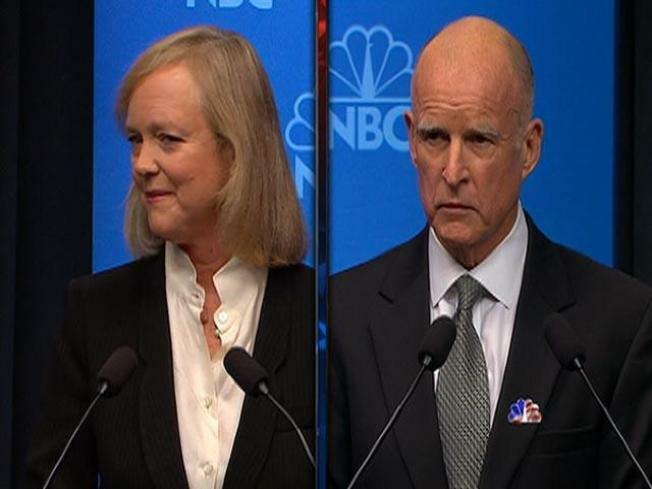 In their bobbing and weaving, Whitman and Brown denied the central reality that voters -- who hold huge power in California to change the constitution and approve ballot initiatives -- are the primary authors of the flawed governing system that has made the state such a mess. On one hand, it's perfectly natural for politicians not to blame voters, whose votes they want. But, considered another way, Brokaw's questions were not hard--they were softballs in disguise, offering an opportunity to show leadership. Either candidate could have used this as an opportunity to say: "California's problems are so deep and so profound that we're all responsible for them, politicians and voters. And we have to work together to solve them--we can't have anyone standing on the sidelines." A bold candidate might have taken the opportunity to list some specific sacrifices that all Californians will have to make. 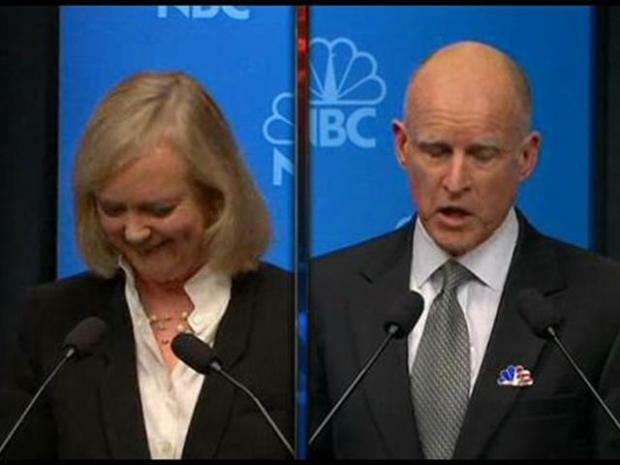 Jerry Brown was this close to saying he had the police chiefs in his back pocket. This close. There would have been risk in such a strategy -- but also reward. Brown and Whitman took the easy way out. That's worrisome.